Please see below for a brief description of MD Helicopters' fantastic product line. Further information can be obtained by viewing the brochures which you can download on the left. Of course, if you have a specific question or would like to enquire about anything MD related please contact us! The MD500E delivers high speed, high payload and high performance though its five-bladed fully-articulated main rotor system and the choice of either a 420-shp Rolls-Royce 250- C20B or 450-shp Rolls-Royce 250-C20R turbine engine. 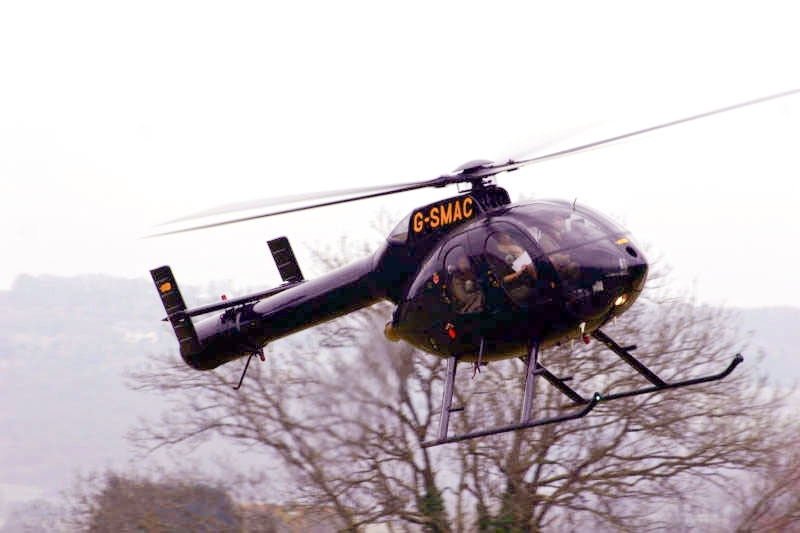 Known by many as the Ferrari of the sky the MD500E is a pilot's machine and is a proven performer worldwide whether your mission be private, corporate, utility or military. 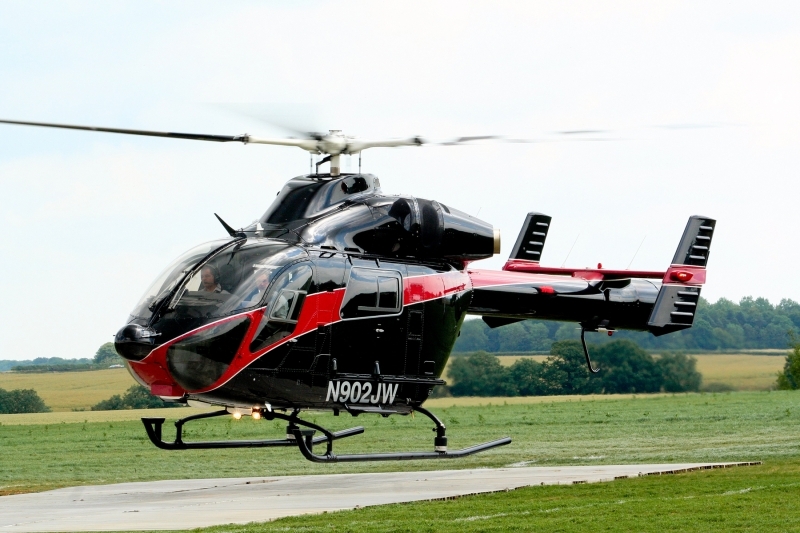 The MD520N is a fast, agile, lightweight, turbine powered, all-purpose helicopter. Advanced technology has been used in the design and construction of the aircraft, resulting in excellent speed capabilities, high payload-to-empty-weight ratio, handling and performance capabilities. The MD520N helicopter has a fully articulated five-bladed rotor system driven by a 450-shp Rolls-Royce 250-C20R turbine engine. With its advanced NOTAR (NO TAil Rotor) anti-torque system, the MD520N is a member of an exclusive class of the safest, quietest helicopters in the world. 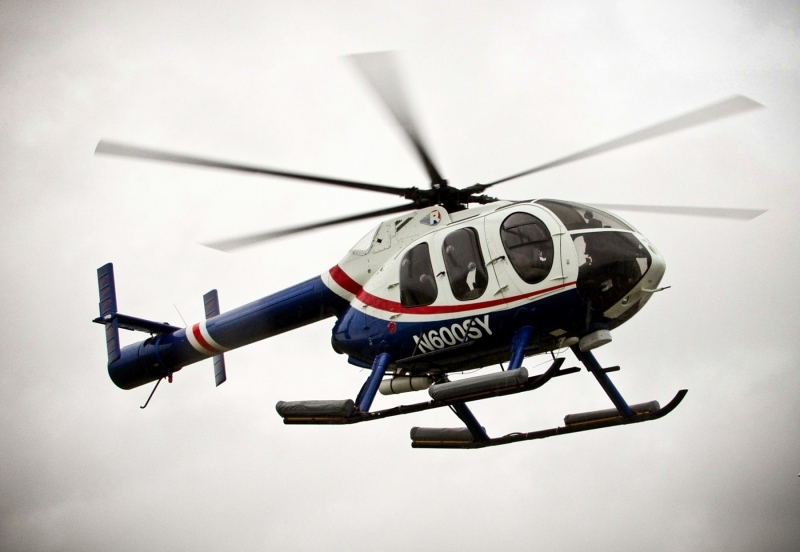 The MD530F is built for "hot and high" (hot-day, high-altitude) operations. Equipped with the 650 shp Rolls-Royce 250-C30 turbine engine and a series of performance enhancing modifications to the E model including six inch longer main rotor blades, and a longer set of tail rotor blades and longer tail boom the MD530F pushes boundaries with its high altitude lift capability. The MD530G Scout Attack Helicopter is the latest in a lineage that spans more than 50 years of industry-leading scout-attack helicopter evolution. 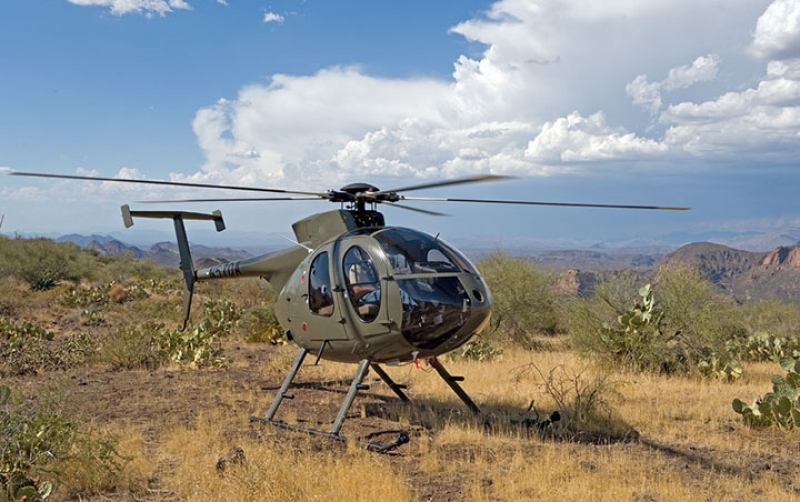 Born from the combat-proven MD530F airframe, the MD530G is the newest addition in MD Helicopters' line of purpose-driven scout attack helicopter platforms. Infused with modern technology and MD innovation, the agility and firepower of the MD530G will provide significant expansion in airborne combat capabilities, enabling military customers to meet mission requirements in austere environments more effectively and efficiently than ever before. The MD530G is designed for agile deployment with integration of on-board systems that include a Stores Management System, forward-looking infrared and an advanced communications suite. Weapons systems most definitely sold separately! 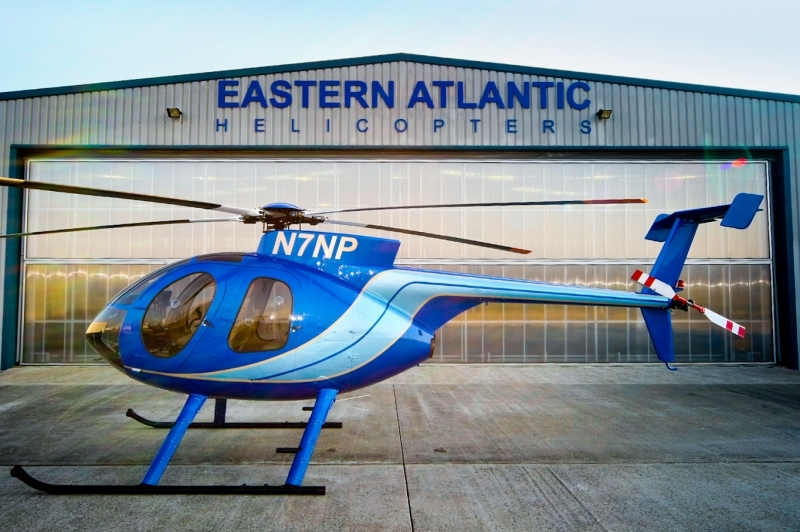 The MD600N is an eight-place, light, single-turbine engine helicopter that provides high performance and increased capacity to give the customer greater versatility and provides the agility and exceptional handling for which the MD 500 series is known. The MD600N helicopter has a fully articulated six-bladed rotor system driven by a 808-shp Rolls-Royce 250-C47 turbine engine with FADEC (Full Authority Digital Engine Control). Anti-Torque is provided by the powerful NOTAR (NO TAil Rotor) anti-torque system complete with YSAS (Yaw Stability Augmentation System). The MD Explorer is certified by the FAA and EASA for day/night VFR and single pilot IFR (3 axis autopilot) with full Category A design standards to JAR-OPS 3 performance Class I.
Powered by two Pratt and Whitney PW207E engines, the MD Explorer features a fully articulated main rotor system, bearingless composite flexbeams and rotor hub. Anti-torque control is provided by the patented NOTAR system (NO TAil Rotor) that reduces pilot workload and external noise levels and significantly improves safety in confined areas and on offshore platforms. The six-place MD Explorer® cabin is the largest in the light twin class and is accessed through two 52 inch (1.32m) sliding cabin doors and a large baggage compartment. Energy absorbing, stroking cabin seats meet stringent FAR Part 27.562 requirements up to 30g at 30 feet per second. The large cabin makes the MD Explorer ideally suited for rapid role change from an Offshore/Onshore six-place passenger transport to Emergency Medical Services or Law Enforcement missions.